The Islamic Cultural Centre in London hosted today a group of people with special needs with deafness; this open day was devoted to explaining the religion of Islam and its pillars in sign language. Sheikh Khalifa Ezzat - Head of Religious Affairs at the ICC, during the meeting, spoke about the virtue of understanding in religion, the importance of sincerity in worship, and explained the 5 pillars of Islam. The lecture was translated into British Sign Language. The program also included words from specialists, explanations of faith and worship, and information on Islamic ethics, coexistence and tolerance. During the day, the group's prayers were held at noon in the Mosque, followed by lunch. Then everyone took guided tours at the permanent Islamic exhibition and the Islamic Calligraphy exhibition. 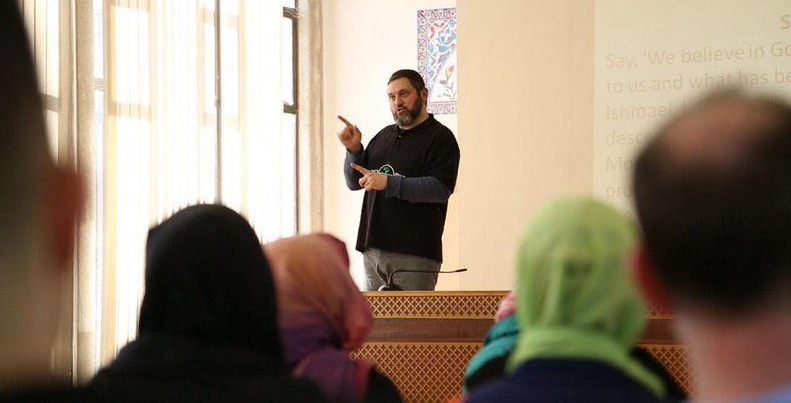 The Islamic Cultural centre in London, in cooperation 'Islam for Deaf', has also launched a program to translate the Friday sermon in British Sign Language for the benefit of deaf Muslims who perform Friday prayers at the Centre every week.